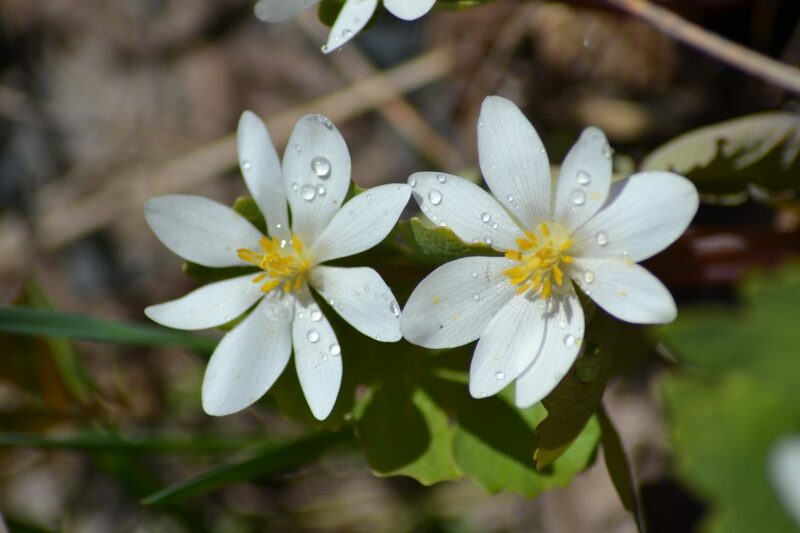 Karen Wils photo Rain drops on Blood Root flowers, one of the first to bloom after the snow. ESCANABA — What is the most perfect and most famous poem in the world? We all hate poetry, right? It was our least favorite part of English class back in 6th grade. The poetry section of the library is often the loneliest aisle. But, as much as we say we hate it, poetry is very much a part of our everyday life. Turn on the radio and poetry will pour out — from rock and rap to country or classics — the lyrics to every song are poems. We hum them, we sing them, we memorize them on our way to work and school. Look online… the smartphone, the tablet and the computer are free-flowing fountains of poetry. Facebook, Twitter and Instagram share all kinds of poems from all kinds of people. You can run from poetry, but you can’t hide from it. Go to church and many prayers are poems. Go to school and, besides what your teacher wants you to learn, nursery rhymes, jump rope chants, and basketball game cheers might get stuck in your head for years and years! So, what really is the most famous poem ever? “Hiawatha” is an epic poem that is set right here in the U.P. In it, Henry Wadsworth Longfellow describes how Hiawatha crossed the rushing Esconaba (an old spelling) River. Maybe poet Robert Frost, who was a special guest at John F. Kennedy’s inauguration, wrote the best poem ever. His nature-filled verses and especially “Stopping by the Woods on a Snowy Evening” are some peoples’ favorites. “Nevermore” said the raven, in Edgar Allan Poe’s hauntingly famous poem. This poem is so often quoted. Some poems are scary and sad and some are sweet and silly. What would childhood be like without “Where the Sidewalk Ends” by Shel Silverstein? Or first love without Emily Dickinson’s poetry? April is National Poetry Month. The Escanaba Public Library has a fine display of all kinds of poetry books right up in the spotlight. And little “pocket poem” cards are fun and free for the taking. And something new for poetry lovers and haters is “Blackout poetry.” All are welcome to join in the fun of creating a poem by using a page from a discarded book (that is provided) and using a black marker to eliminate unwanted words. Save only the words that you want in your poem and tape it to the display. 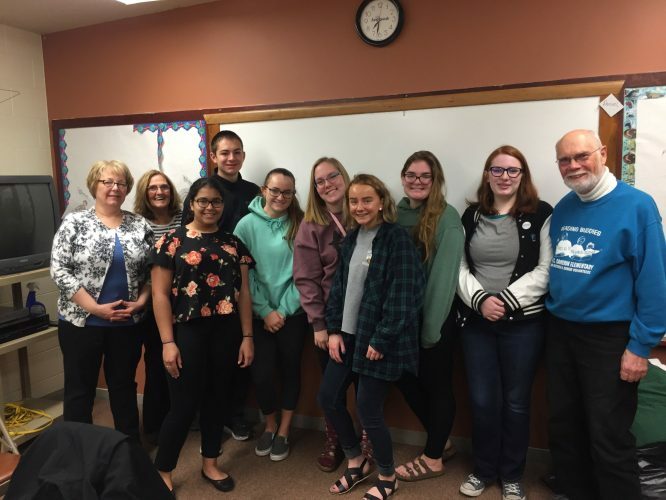 The library is also sponsoring a free poetry event called “Undocumented: Great Lakes Poets Laureate on Social Justice,” April 25 at 6:30 p.m. So, what is the most famous poem in the world? It’s the one that’s floating around in YOUR mind right now. Grab a pen and let it out! Here is mine. Rebirth from the cold and damp!